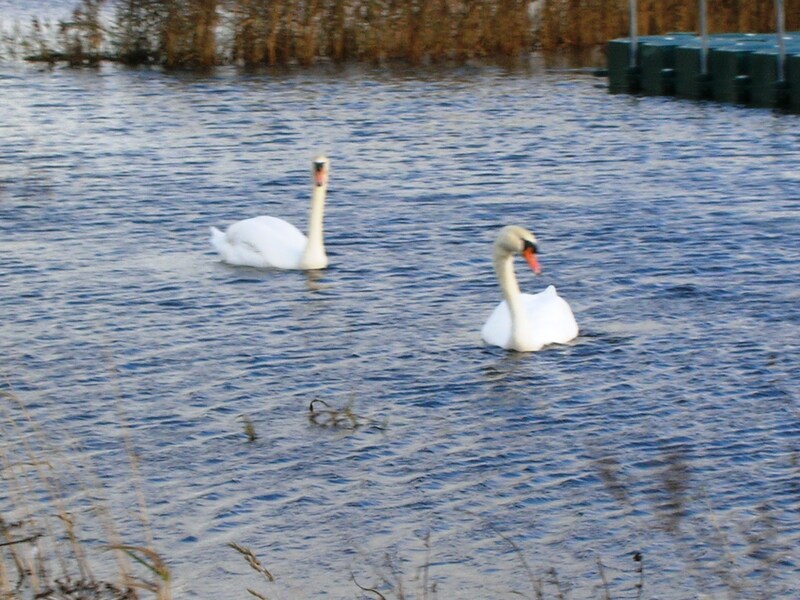 The Mute Swan is an elegant looking swan, with a graceful curved S shaped neck. Its feathered are puffed. It has an orange bill with black at the base of it. It has a prominent knob on the forehead. In flight the neck is extended and wings beat regularly and slowly. They are common in lakes, rivers and ponds. Their nests are made from large mounds of reeds. 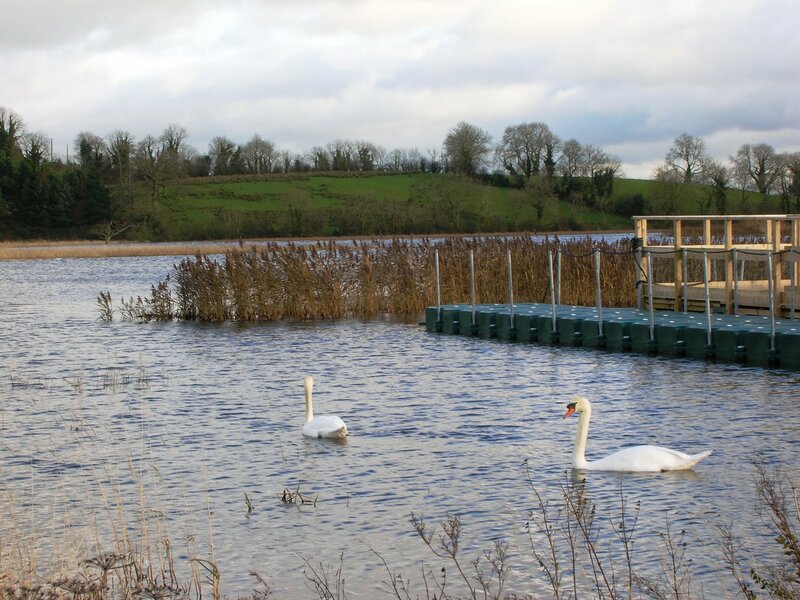 The cygnets are greyish in colour. 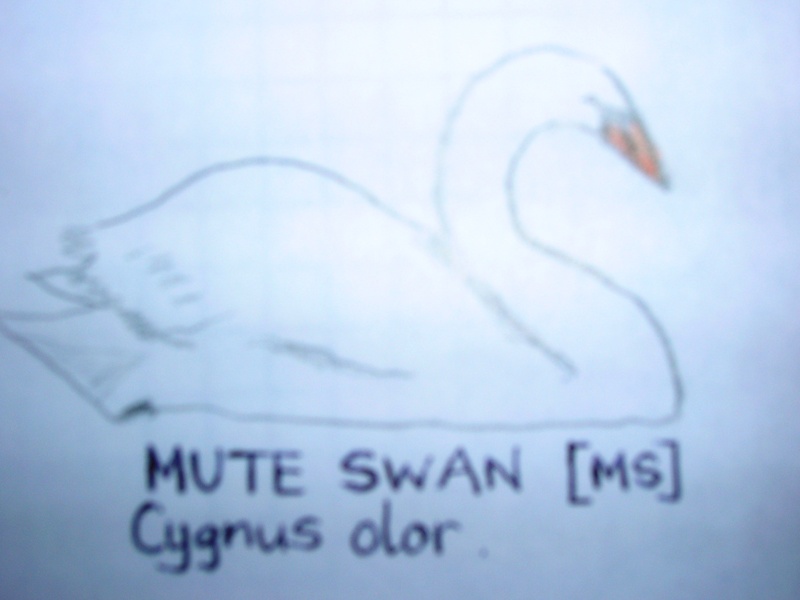 *Photographs taken by myself in County Monaghan in November 2009 and sorry for the poor quality of the sketch.